I’m a content writer (not a designer), but I understand that graphics and copywriting go hand-in-hand, much like peanut butter and jelly. The internet has changed things up for us mid- to small-sized folks. My clients – ministries, nonprofits, and small businesses – can’t afford a designer for every project. Which means that over time, I’ve had to learn the basics for manipulating images for web content and print. 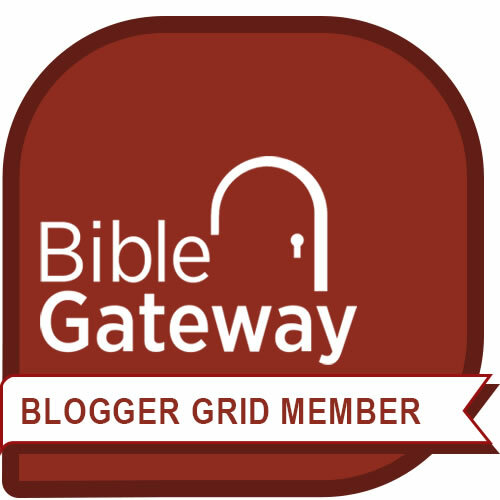 Now I can add an image to a post, format logos, crop graphics, set up letterhead, create Facebook headers, make a simple email banner, or layer fonts to make Pinterest pins. Given that I get the heebie-jeebies at the thought of learning new tech, you can see how far I’ve come in my writing journey. You can, too. Start by understanding what “visuals” you need. I was initially confused by the terms “visual brand” and “visual content.” If you’re a marketer, this is second nature to you. If you’re not – well, welcome to the club. Your visual brand is your combined distinctive design elements: your logo, color palette (2-3 colors, including their hexadecimal numbers), and font. I’d toss in your website template, too. Everybody who wants to create consistent messaging needs to have visual brand elements so users recognize you when you repeat your logo, colors, and font. Think Nike, with its white swoosh and the motivation to “just do it.” Ads, images, posters, webpages – Nike uses its brand in all kinds of visual content to build name recognition. An added advantage: when you know what colors and fonts to use ahead of time, you don’t need to “invent the wheel” every time you create an image for a blog post or web page. You may already have branding elements in place. If not, do so. Should you DIY or pay a designer to create your logo and brand? I’ve done both. Both approaches have worked for me. The point is this: your visual brand helps build consistency. You use those brand elements as building blocks for visual content pieces. Visual content is an image that communicates information. Use your branding elements to put a stamp on each piece of visual content. 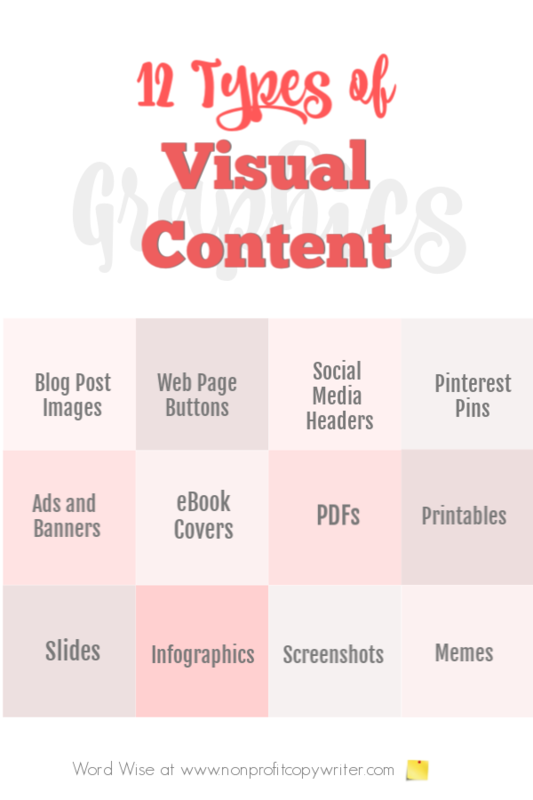 Here are a few types of visual content to place hand-in-hand with your written content.